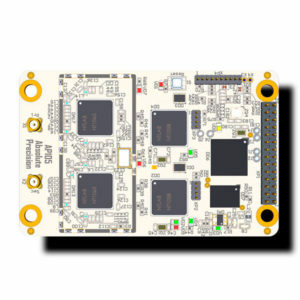 AP100 family is a wide range of high-precision OEM GNSS receiver modules with open architecture. Modules maintain the industrial standard form-factor (71 x 46 mm). 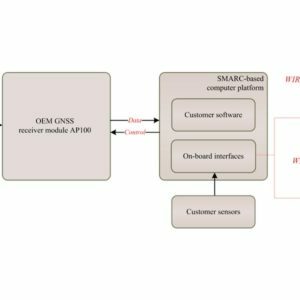 Raw measurement data are available for developers as well as API functions to control the baseband chip. 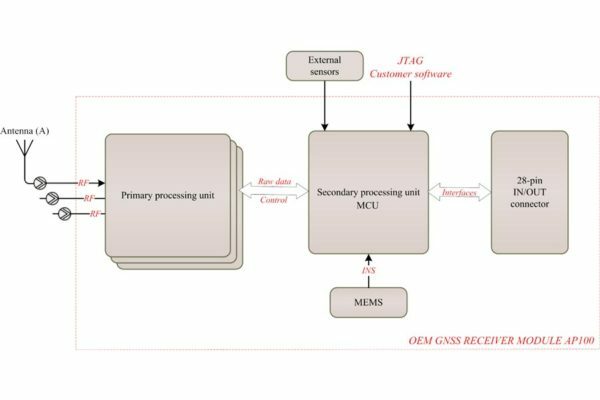 Customers can use Absolute Precision OÜ firmware or develop their own proprietary firmware (or use third-party firmware) for on-board MCU to implement secondary processing (standalone positioning, RTK, PPP…), thus it is possible to create an effective solution for each specific case. Owing to the MEMS availability, the algorithm of RTK and INS integration is also implemented. This in turn increases the frequency of navigation data (position/velocity/heading/observables) up to 200 Hz.